I was commissioned by cousin's husband, Frank, to find or create a pattern from the picture of a yarmulke/kippah that he found online. I could not find a paid or free pattern, only completed objects for sale. 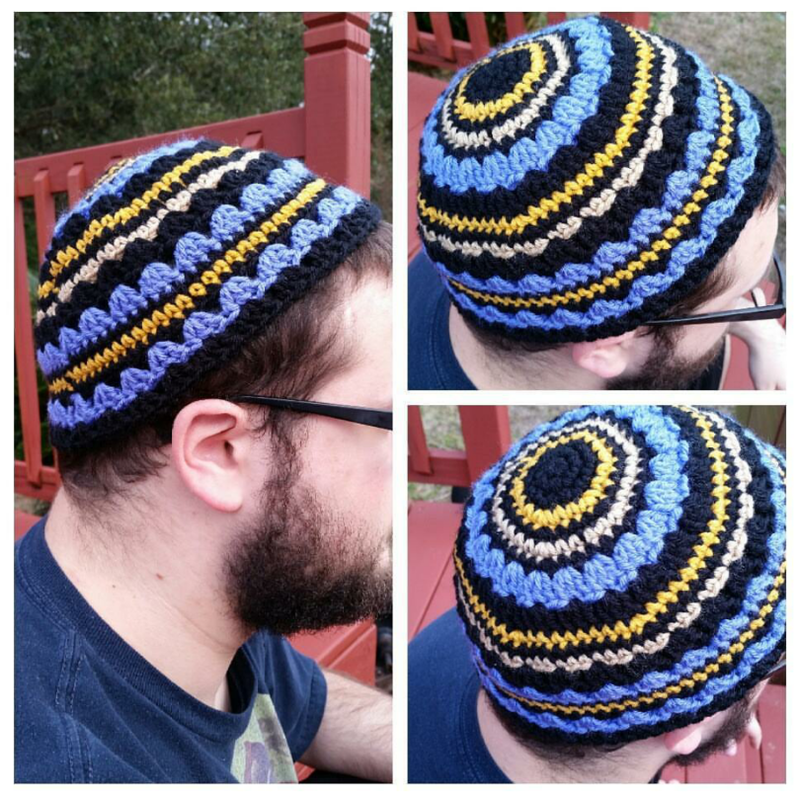 As he is a fellow crocheter, and likes to make his own kippah's, I was more than happy to oblige. I pray this honors my Jewish family. I had others request that I share the pattern, so here we are! If you want to download a free .pdf, it is available on Ravelry, and Craftsy. Rd19- w/MC, repeat Rd 14, Join and Cut. If you want to extend the hat to cover the ears, you can repeat Rows 15-17 once.